When: Saturday October 27th, we will board a 49-passenger bus at 10 AM at the Doubletree Hotel parking lot near the CVS, 4431 PGA Blvd. (at the northeast corner of PGA Blvd. and Military Trail). We will drive straight to Key West with one stop for pick up at the McDonald’s on Lantana Rd. and I-95. We will return from Key West at promptly at 10 P.M. to be back at the Doubletree by 3 AM at the latest. Who: The theme is "the games we play," for you to choose Halloween costumes. BYOB and bring a snack. Ice and coolers provided. First priority of ticket sales is for round trip but we can also take people one way. If we have 35 people on the bus we will celebrate with mimosas for each and a surprise snack. 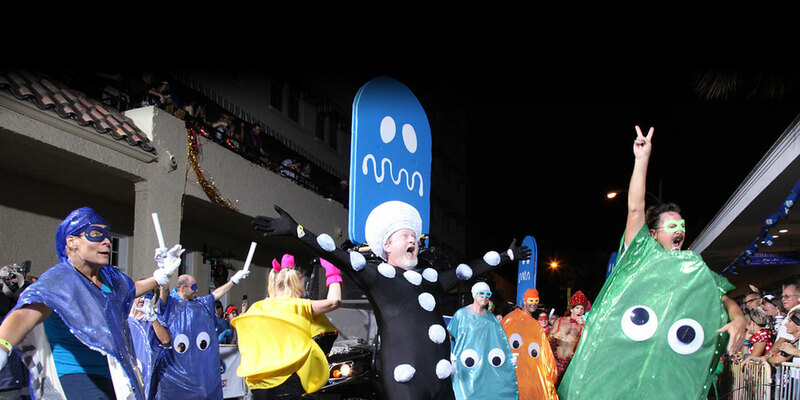 What: we will tour the streets in key west and watch the Halloween float parade from 7 to 9 P.M.
Why: You’ve gotta see Fantasy Fest at least once in your life!! Lots of fun. 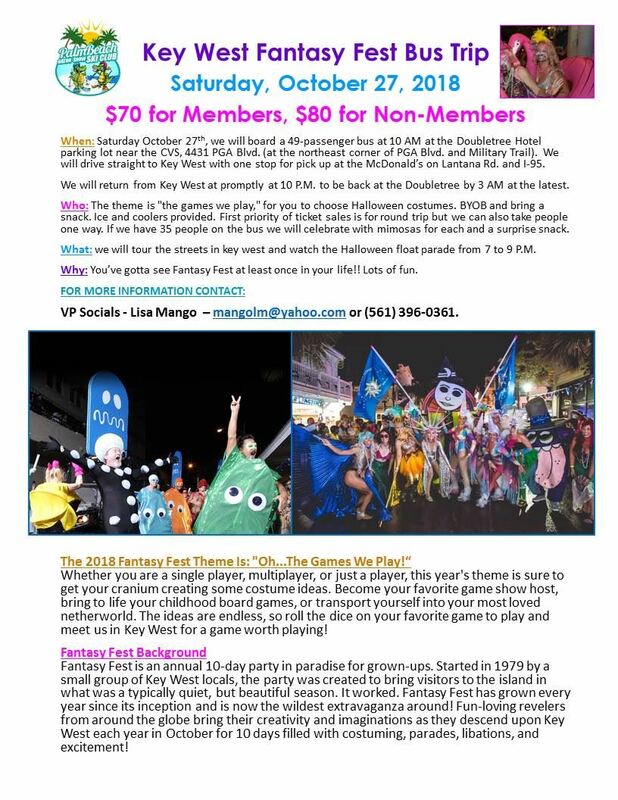 Make payments to trip coordinator Lisa Mango at the general meeting or at happy hours on August 18th or 25th or you can contact Lisa at mangolm@yahoo.com, on facebook, or on cell phone at 561-396-0361.